Buck Garrett (1871-1929) – The nephew of Pat Garrett, Buck was born in Tennessee on May 24, 1871 and moved with his family to Paris, Texas when he was just a child. When he was just 18, he served as a posseman for the U.S. Deputy Mashals, which led to a life as a career lawman. When the Johnson County War broke out in 1892, he was recruited as a “hired gun” as one of Frank Wolcott’s “Regulators” and was present during the attack on the KC Ranch house were Nick Ray and Nate Champion were killed. Garrett along with other gunfighters, such as Frank Canton, were arrested but soon released and returned to Texas. Garrett resumed his duties as a U.S. Deputy Marshal and somewhere along the line married a woman named Ida Mae and the two lived in Ardmore, Oklahoma. Here, he became involved in the pursuit of Bill Dalton in 1894, and by some accounts was the man who killed the fugitive. The next year, three new court districts were established in Oklahoma, and Garrett became one of the many U.S. Deputy Marshals who worked for them. 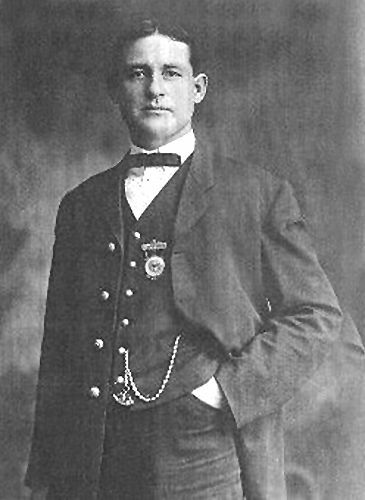 In 1905 he was made the Chief of Police in Ardmore, a position he held until 1910, when he was elected as the Carter County Sheriff. During his years as Chief and five terms as sheriff, he rarely wore a gun, but never hesitated to with the many thugs he arrested. He also diversified into oil and other businesses, becoming a healthy man, who was sometimes known to hire attorneys to defend the very people he had arrested. Though he was an influential man, he also found controversy with the Ku Klux Klan, which he considered dangerous, which led to his defeat as sheriff in 1922. Afterwards he suffered from a stroke and died when he was 58 years old and was buried in Ardmore, Oklahoma. Pat’s had two younger brothers born in 1860 & 1862 so it’s not possible for Buck to be a nephew of Pat Garrett. Plus, both spent their lives in Claiborne Parish, Louisiana.